Adopting a healthier lifestyle is difficult. 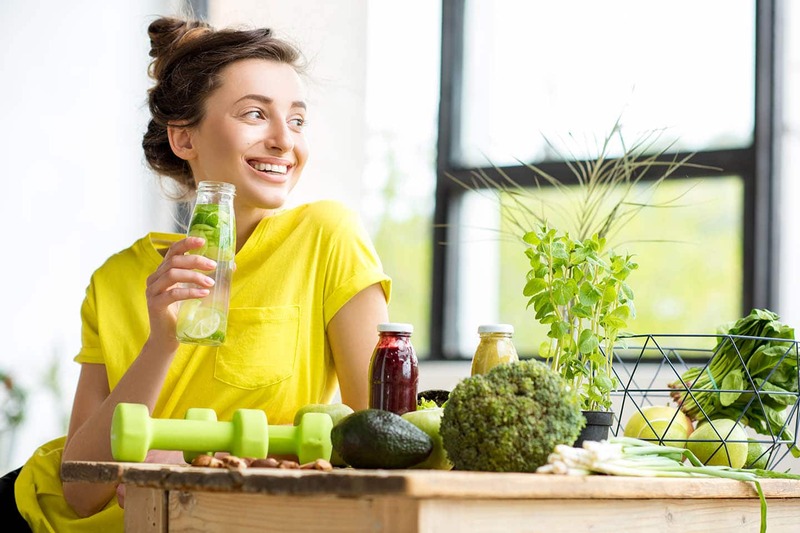 It can take weeks for your body to start craving nutritious foods instead of junk, and to actually want to exercise, instead of sit on the couch and binge Netflix shows. It’s overwhelming, but don’t worry. Big changes come from small tweaks. Focus on making little changes in your day-to-day life. Here are five things you can do today to start feeling healthier. Dehydration can seriously affect your day. It can make you feel sluggish, unfocused, and irritable. It can also cause headaches and muscle cramps. Just making sure to stay hydrated can make all the difference between a bad day of feeling totally off, and a good day of being completely on top of your game. Keep a water bottle in your workspace or in your bag and keep sipping all day. Getting your heart rate up circulates oxygen and vital nutrients around your body, and can also help flush bad bacteria out of your airways and lungs. Exercise also releases endorphins, those feel-good hormones that make you feel happy and alert. Just 20-30 minutes a day of moderate exercise can boost your mood and improve your overall health. The ever-present to-do list is the cause of a lot of stress for most people. It can be so overwhelming that sometimes you can’t even get to sleep. Reduce your worry by preparing for tomorrow morning, tonight. Prep breakfast, make your lunch, pick out your clothes, pack your bag; do anything you can to make the morning less hectic. It’ll help you sleep, and get your day off to a good start tomorrow. Whether it’s the constant stream of e-mail coming through your inbox or having to watch your peers live seemingly perfect lives on Facebook, your phone can be a significant source of stress. Step away for a few hours a night and do something to relax. Doing this right before bed can be extra beneficial, as the blue light emitted by devices can mess with your melatonin levels and make it harder to get to sleep. A messy living space can be stressful. Clutter can feel like it’s closing in on you and can make you feel like you’re not in control. Plus, the dust and allergens in the air and on surfaces can be harmful to your physical health. Spend a little time cleaning up to calm your mind, help out your lungs, and take the stress out of your home.